9 April 2014. University of California in San Francisco opened an online registry that aims to reduce the time and cost of recruiting participants in clinical trials for disorders of the brain, such as Alzheimer’s and Parkinson’s disease and traumatic brain injuries. 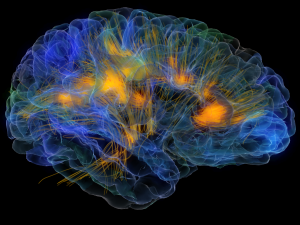 The Brain Health Registry is led by UC-San Francisco radiology professor Michael Weiner, who founded the registry, and psychiatry professor Scott Macklin, with collaboration from a number of companies. The pharmaceutical industry is increasing its use of online tools to reduce the costs of clinical trials, which account for a large proportion of the development cost of medications. Services like MyClinicalTrialLocator.com and TrialReach.com act as search engines for trials, while PatientsLikeMe uses the community/social media model to encourage people with disease to discuss their experiences and volunteer for clinical studies. The registry asks volunteers to provide a brief personal medical history and take a few online neuro-psychological tests to provide an outline of visitors’ mental functions. From this first pool, some participants will be asked to provide saliva or blood samples, and take part in clinical trials. All data, says the university, will be protected according to federal privacy laws and the highest medical ethics standards. Brain Health Registry is seeking volunteers initially from the San Francisco Bay area, and hopes to enroll some 100,000 participants by 2017; about 2,000 already enrolled during the site’s testing phase. The registry’s collections are expected to offer researchers data on brain capabilities through the aging process and help develop diagnostic tools, as well as provide a pool of potential clinical trial volunteers. The registry is partnering with Lumiosity, a San Francisco company that offers online brain training games. Lumiosity is providing a series of assessments included in the registry’s brain performance tests, as well as recruiting volunteers. Other collaborating companies are Johnson & Johnson Innovation Center and Cogstate, an Australian company developing cognitive testing tools.